Includes the ability to create/modify levels from within the game itself (and someday share your creations with other players). 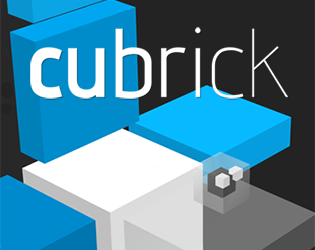 Windows: Just unzip all files and run "cubrick.exe". See the enclosed readme.txt file for further details. Linux: Includes 32-bit and 64-bit binaries. See Unity's blog post on linux support, as well as the enclosed README for details on configuring resolution and fullscreen mode. Only tested under Ubuntu 13.04, so your mileage may vary. Android: You'll need to enable downloads from unknown sources, then download the APK and install it. Controls: touch the corners, sides, and top and bottom of the screen to move, rotate, and zoom (respectively). To interact with switches, or toggle current player, briefly touch the center of the screen. To open the menu, touch & hold the center of the screen, or touch the back button.